Marquise cut diamonds are the perfect option for someone who loves the sparkle and fire of Round Brilliant cuts, but wants a more unique and striking diamond shape. The Marquise cut is similar to the Oval cut, with a symmetrical elongated shape that gives an illusion of length on the hand, when used in an engagement ring. The striking difference is that the top and bottom of the stone come to a sharp point, rather than a rounded point. Marquise cut diamonds are very brilliant and fiery and reflect light beautifully. There is no standard length to width ratio for Marquise cuts. They can be quite rounded, with a wider mid-section and shorter length, or very long and lean. 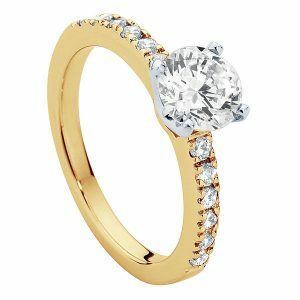 Larsen Jewellery specialises in custom made engagement rings, including Marquise cut diamond rings. As we make all of our rings to order, your choice of design is not limited to the selection shown above. All the Marquise diamond ring designs shown on our website can be made with your choice of diamond, picked from a selection of loose Marquise cut diamonds, and in any metal, including White Gold, Yellow Gold, Rose Gold and Platinum. Whether you want to choose from one of our classic styles, or create something completely unique, Larsen Jewellery can make a Marquise cut engagement ring to suit any style and budget. You can use our many display rings to help you choose a style, or alternatively, you can bring in your own ideas or pictures and our jewellers can help you design something special and truly unique. 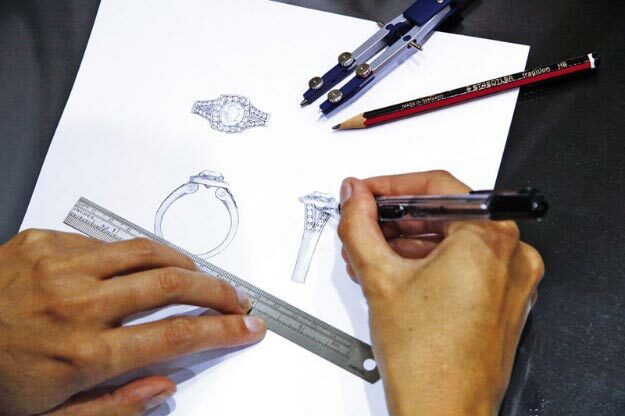 We welcome you to come in for an obligation-free design appointment with one of our jewellers who can advise you on choosing a Marquise cut diamond ring design to suit your individual style. We can also help you understand the 4 C’s of diamonds to ensure that you make an informed decision when choosing your Marquise cut diamond.